The best way to impress your loved ones this Valentine's Day? Homemade truffles, of course! This recipe combines a few of our favorite things in one: chocolate, a splash of liqueur, and an easy-as-pie recipe. 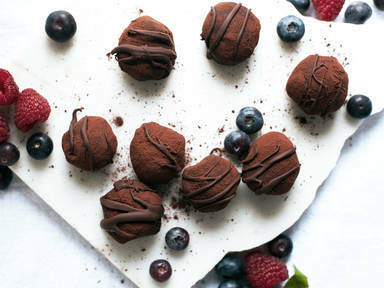 Whip up a batch today, then gift them to your significant other, a friend, or yourself (you deserve it).